An electronic health record can be simply defined as the official health documentation of an individual which is disseminated among a number of agencies and facilities. The function of EHRs is gaining increased influence owing to the fact that there is an upsurge in the digitization of patient information. This is due to the fact that there is an increase in the desire for a larger number of customers to have remote mobile access to their health-related records. The data type contained in the EHR includes the contact information, information about allergies, family history, insurance information, information on visits to certain health professionals, records of hospitalisation, a list of the medications as well as information on surgeries and the procedures carried out. EHRs are quite useful as far as patient engagement is concerned owing to certain reasons such as its ability to update and share automatically information between different organisations and offices. This is also coupled with the fact that it is quite efficient as far as retrieval and storage are concerned. EHRs are also quite useful in terms of their ability to disseminate multimedia data which includes medical imaging results between one or more locations. It is also known to be able to create a linkage of records to the sources of certain current and relevant research. There is also the case of standardized patient care as well as services in addition to lower effort redundancy and lower inherent cost for the health system. There are a couple of health startups making appreciable inroads into this industry such as Patient bank, Bloom API, On patient, Phreesia, Yosko and a whole lot of others who have been able to drive the growing trend of EHRs. 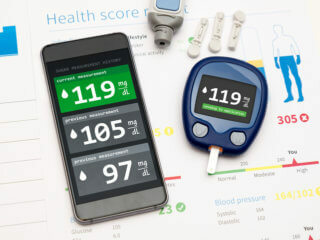 It is also worthy of note that the increased awareness and desire of patients to have increased access to their personal health record may have also been one of the major driving forces for the new global EHR trend. 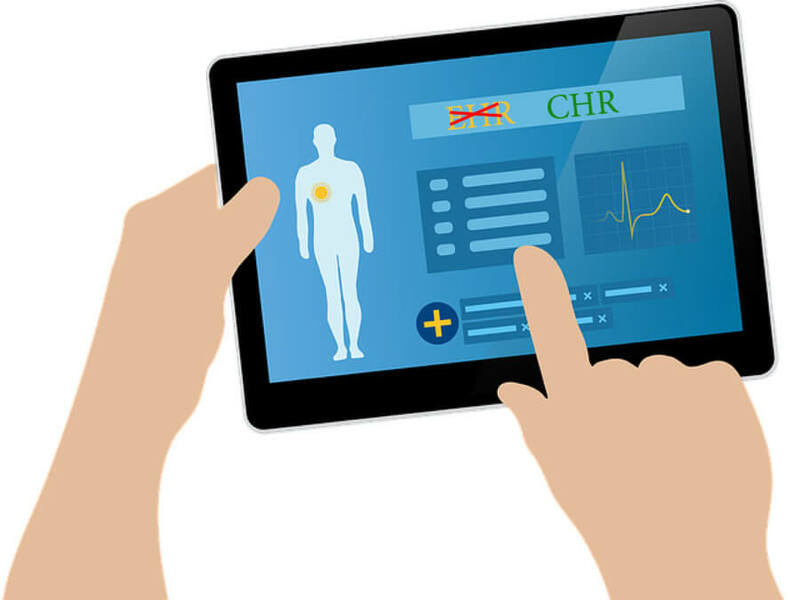 The ever abounding need for constant improvement and evolution in the healthcare industry has seen the birth of the CHR which is basically an offshoot of the EHR. A comprehensive health record is broadening of the types of information which are available in the conventional electronic healthcare record. This is one innovation that seeks to make use of the internet with a view to improving health care delivery as well as overall health care status. It is basically not restricted to a particular provider; it simply makes available the medical information that is gotten by healthcare providers in a wide range of areas. The major difference between EHR and CHR is predicated upon certain things such the types of data made available. These include what the patient eats, their sleep patterns as well as if they are addicted to a certain food dessert. Also, CHR tells if the people are lonely and other mental health-related data. This is important because of the fact that these factors usually have a telling effect on the health of the individual. It, therefore, suffices to say that there is a need to move to CHRs mainly due to the need to store and analyze certain social parameters such as the aforementioned. One other reason for the imminent radical shift to CHRs is due to the fact that a lot of nations spend a lot of money finding solutions to those social factors which in turn leads to a healthier population. A statement by the CEO of Epic Judy Faulkner clearly explains what this shift to comprehensive Health records is all about, according to her, there are three major reasons. The first reason is that there is certain information that is presently not in the present HER, the second reason is the care that is not present in hospitals but needs to be included and the last reason is the fact that the traditional health care has since moved out of walls. 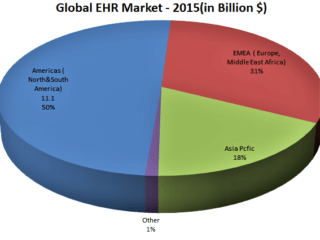 It, however, appears that EPIC is not left alone in this migration from EHR to CHR, this is evidential in the fact that companies such as Cerner Corporation and a whole lot of others appear to be joining the bandwagon offering an improvement upon what was hitherto obtainable in the EHR era. The writing is quite clear on the wall as far as the future of health records is concerned, we are moving towards an era whereby access to comprehensive health information such as local, community and social data will create an avenue for the best possible healthcare systems with a view to making a difference between the real and ordinary players. Without a doubt, the revolution in the healthcare data system would soon be made available to the majority if not all the participants and would soon start paying off in little or no time. The change in focus from the ailments to the patient would certainly help create deeper insights into the health dynamics of each individual with a view to creating a solution based system that actually works. The increased acceptance of CHR as well as the acceptance of Cloud-based EHR software, coupled with the ever increasing aged population, and the projected rise in the statistic of chronic diseases all serve as a catalyst that should help speed up the growth of the market. This is in addition to the fact that there are indeed huge market opportunities available in developing regions which should help propel growth.